Welcome to the Cheshire West and Chester Community Safety Partnership website. We work together to make the borough a safe place to live, work and visit. In turn we help the borough to thrive. Using the website you will be able to find out more about our work, our strategy and plans, how to use the community trigger, and access our relevant documents and resources. Work has started on the latest Strategic Assessment of Crime and Disorder. The Community Safety Partnership will agree priorities and sign off the document in May 2019. Our strategic aim is to reduce crime and disorder in west Cheshire. The Crime and Disorder Act 1998 put responsibility on local authorities and police chiefs to meet often with other local public organisations. The aim is to discuss crime and disorder issues. Each year they look at concerns. They put a plan inplace to reduce crime and disorder. Following Local Government Review in 2009 a Cheshire West and Chester Crime & Disorder Reduction Partnership (CDRP) was formed. This replaced any old arrangements. 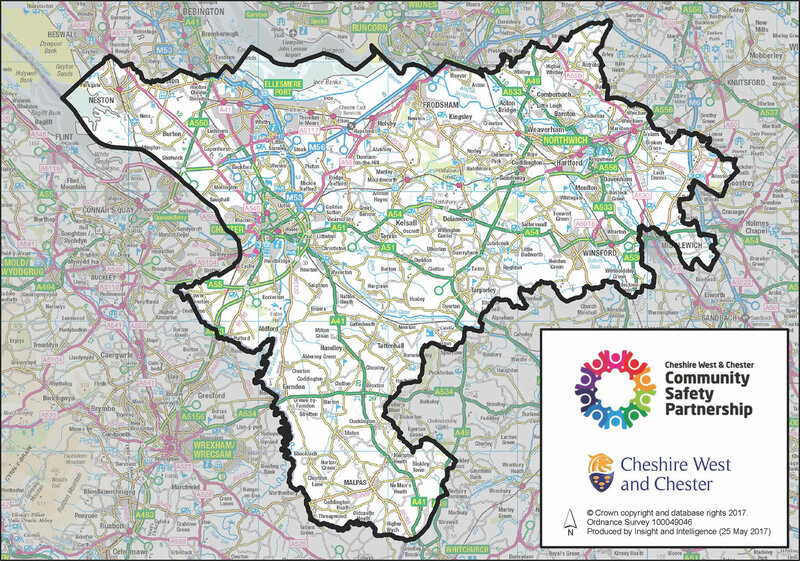 The CDRP is known as Cheshire West and Chester Community Safety Partnership. Read more about our role on the about us page.